Rodrigo Santoro will return to the role of Xerxes for the film. 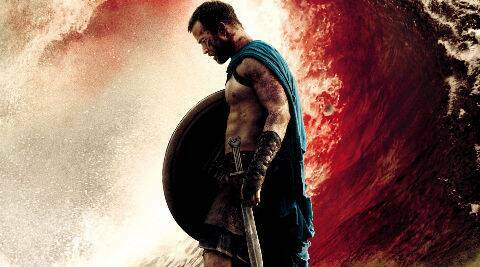 The film will see Themistokles (Sullivan Stapleton) lead a battle at sea to defeat the Persian navy. The trailer of ‘300: Rise of an Empire’ has been released online. The sequel to Zack Snyder’s 2007 box office hit, will see Themistokles (Sullivan Stapleton) lead a battle at sea to defeat the Persian navy after the death of the Spartan land army, reported Deadline. Rodrigo Santoro will return to the role of Xerxes for the film, while Lena Headey is also back as Queen Gorgo of Sparta. ‘Casino Royale’ star Eva Green, former Skins star Jack O’Connell and Hans Matheson are among the new additions to the blood-thirsty sword and sandals epic. Noam Murro will take over the director’s chair from Snyder, who produced and co-wrote the film with Kurt Johnstad based on Frank Miller’s unpublished graphic novel Xerxes. ‘300: Rise of an Empire’ will hit theatres on March 7, 2014.